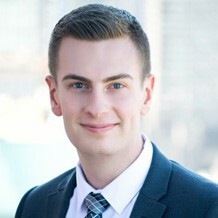 Dan grew up in Calgary and Edmonton before moving to Vancouver for law school. Some of his fondest memories as a kid were spent at summer camps in Alberta or in the forest by his house, and he believes these experiences shaped who he is today. Dan is a lawyer at DLA Piper (Canada) LLP, where he practices corporate and commercial law. He has gained particular experience working with not-for-profit entities, acting as an advisor with respect to corporate governance and other ongoing legal issues. Through his experience working with not-for-profit organizations, he has developed knowledge of the legal and business issues faced by charities and other not-for-profit organizations that go beyond those of for-profit companies. Dan is very excited to work with NatureKids to help promote the benefits of a nature-filled childhood.